Here&apos;s your opportunity to own a Trebuchon Home. Come see the unique touches that make this home a surprisingly unique property. If you love the charm and majesty of a turn of a century home, then this is a must see. Currently used as an Airbnb/Home Away vacation destination home attracting visitors, traveling medical and business professionals. Walking through this home you can&apos;t help loving the finish and flow and seeing the unique finishing touches. It&apos;s been beautifully redone from the studs to finish. 3 huge bedrooms plus an office/play or hobby room. Two full baths with the Trebuchon touch! Gas Fireplace in living room. New Counters, cabinets and applianced kitchen. 2nd floor laundry room. The Master suite offers a side room that would be perfect as a sitting room or nursery, a surprisingly walk in closet with bathroom with his/her double sinks and a jet tub. Master Suite has it&apos;s own deck to enjoy summer morning coffee on. Insulated so well that you can expect low fuel bills! One car garage with a closed work space in between. Farmers porch and huge deck with hot tub to relax and enjoy barbecues and the outdoors. Garden beds already in place. Newer roof. 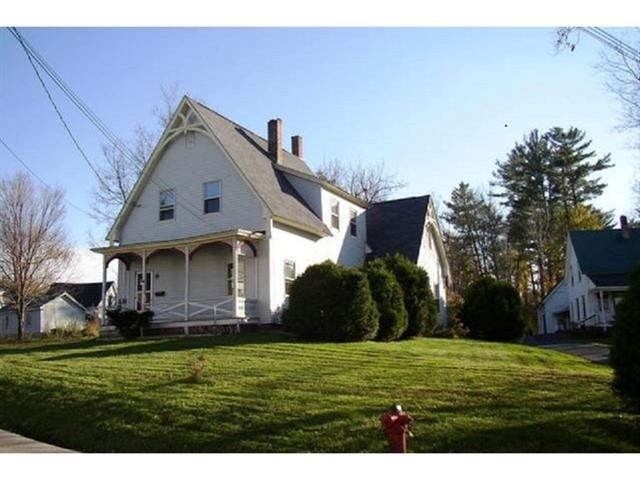 Close to Movie Theater, I 93 and all that Littleton offers.